Chicago Park District owns more than 8,100 acres of green space, making it one of the largest municipal park managers in the nation. 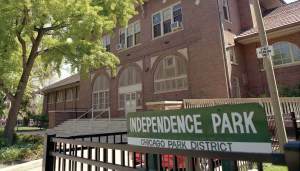 Chicago Park District offers programs for youth, adults, and seniors. The park offers plenty of activities and is responsible for 26 indoor pools, 51 outdoor pools, and 26 miles of lakefront including 23 swimming beaches plus one inland beach. Popular attractions that fall under the management of the Chicago Park District include the Clarence Buckingham Memorial Fountain, which is located in Grant Park. Proudly referred to as Chicago's front yard, Grant Park is among the city's loveliest and most prominent parks. Chicago Park District encourages people to get involved and volunteer and welcome the idea of being apart of the park! For it's renovation efforts, the Chicago Park District sought out a durable, yet attractive locker solution that would give the facilities a more modern look and protect patrons' belongings. Park District wanted a solution that would last for years and one that they wouldn't have to replace. Bradley Lenox® Lockers were the perfect fit for the park.The Lenox® Lockers have an ergonomic, ADA-compliant handle which operates less than five pound of force. The handle is secured through the door latch bar with stainless steel security screws. The one-piece locker box is designed to be rigid and secure. According to Anthony Hayes, project manager in facility management for Chicago park District, "Bradley's plastic lockers have been a money saver for the district, and we have not had any maintenance problems. We're very pleased with them."